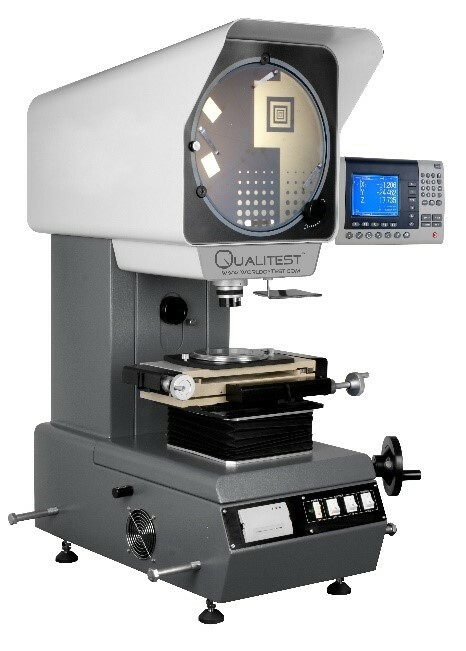 Profile projector is widely used for complex shape stampings, gears, cams, threads and comparing the measured contour model. It’s easy to use and highly efficient. It is a commonly used measurement of optical instruments. Thus, profile projector is widely used in major machinery manufacturing including aviation, aerospace industry, watches and clocks, electronics, instrumentation industry, research institutes and detection metering stations at all levels and etc. The projector magnifies the profile of the specimen, and displays this on the built-in projection screen. 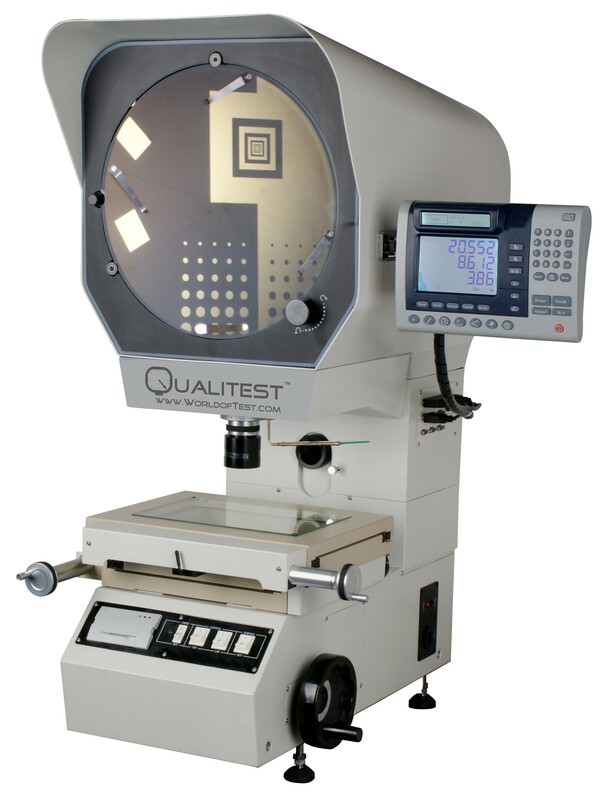 On this screen there is typically a grid that can be rotated 360°so the X-Y axis of the screen can be aligned with a straight edge of the machined part to examine or measure. Qualitest offers best-selling and top quality profile projectors that are highly versatile and easy to operate. This popular series has large travel range, excellent quality and performance and is very reasonable priced. QTVB-12 Series Profile Projector comes with 300mm screen, lifting system, movement work-stage and built-in printer etc. advanced features. Available 10×, 20×, 50×, 100× objective, rotary table, foot-switch, etc. Qualitest offers best-selling and top quality profile projectors that are highly versatile and easy to operate. This popular series has large travel range, excellent quality and performance and is very reasonable priced. QTVB-16 Profile Projector equipped with 400mm screen, lifting system, movement work-stage and built-in printer etc. advanced features. Available 10×, 20×, 50×, objective rotary table and foot-switch, etc.